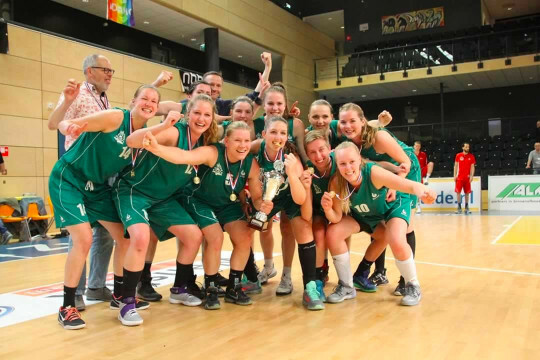 After an exciting season, the women’s basketball team the Groene Uilen won the championship this weekend. 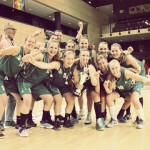 The Rotterdam EBA Baros were beaten 80 to 71 in a thrilling final game in Zwolle on Saturday. 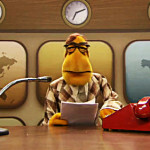 Anyone climbing the rooftops a few months ago to shout that the ladies from the Groene Uilen (Green Owls) would win the championship would have quickly been yanked down. The team, led by coach Kaj Reker, was not performing consistently well and really had to pull out all the stops to even make it to the top four in the national division. Only those teams were allowed to battle it out for the championship in the play-offs. After finishing third last season, the Groene Uilen line-up remained largely the same, albeit with a few new young reinforcements. But fitting the new members into the team turned out to take longer than expected. Things did not start going smoothly until the last two months, when the pressure on the team was at its highest. ‘We had to win at least six out of the last eight games. It was like playing the championship every time, and we were all aware of that’, says Reker. In the play-offs, DAS from Delft was defeated first, and in the finals, they had to face off against EBA Baros. The 150 Groene Uilen supporters blew horns and sang club songs to taunt their opponents from Rotterdam. The atmosphere in the stands was great, but on the court, the Groningen women fought every inch of the way. With the title within reach, the Groene Uilen just had to have it.